AMD are, yet again, putting clarity second and petty squabbling first by supposedly creating a Z490 chipset to compete with Intel’s Z390. And it’s supposedly readying for launch later this year. 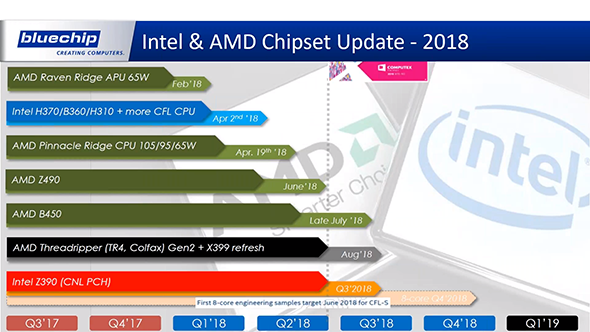 The leak comes from a German computer distributor, Bluechip, who has accidentally let slip the entire Intel and AMD processor roadmap for 2018. Can’t wait until Q4? Here are the best CPUs for gaming in 2018. The information was included in a presentation for IT distributor Bluechip’s business partners, that was swiftly grabbed by AnandTech before being taken down shortly thereafter. This 30-minute presentation was intended to keep company insiders up-to-date with the products on the horizon in 2018, but since it was inadvertently posted publicly on YouTube, it has now also informed the world on this usually confidential info. There’s one key slide with some pertinent information for us gamers. It outlines AMD’s Raven Ridge APUs, which launched in February; Intel’s Coffee Lake Refresh, which recently launched in April; and AMD’s Ryzen 2 chips, which were launched just a couple of weeks ago. Nothing new there. However, it also goes on to outline an AM4 Z490 chipset (Really, AMD? ), an AM4 B450, confirmation of an X399 refresh, and an Intel Z390 / eight-core CPU combo. Intel’s Cascade Lake-X HEDT chips aren’t on the list, however, which lends to the whispers that these enthusiast chips have been delayed until 2019. The AMD Z490 chipset will supposedly offer increased PCI-e lanes over the X470 chipset that recently launched. In proper schoolyard one-up style, AMD have, yet again, and even more brazenly this time, knocked Intel’s nomenclature off course for many a future generation, and beat them to the punch with a proposed new high-end chipset release in June. What could that be for? Can anyone say, Ryzen 7 2800X? Intel’s Z390 chipset, and its potential eight-core Intel Coffee Lake processor, also receive further confirmation for Q3 and Q4, respectively. Intel’s Z390 has been confirmed for some time, with rumours of a coinciding eight-core processor, meant to duke it out with AMD’s top-end eight-core Ryzen 2 chips, gaining validity in recent weeks. It is surprising to see Intel’s proposed eight-core processor launching after the Z390 chipset, as this core-happy chip is seemingly the only justification for the new enthusiast chipset. We may well see more from Intel on this front at Computex, which runs from June 6 to June 8, 2018, coinciding with the first engineering samples of an eight-core chip – according to this leak. 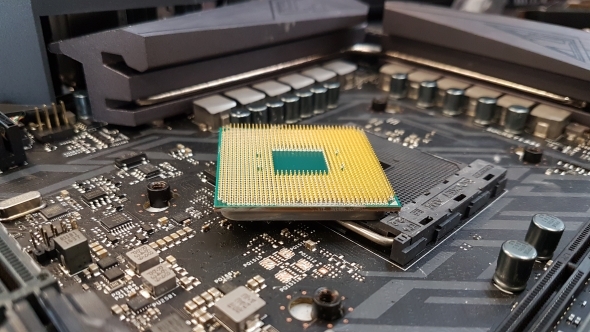 While a second generation refresh of Threadripper has been previously confirmed by AMD, we can now assume that these chips will arrive on refreshed X399 motherboards, rather than fresh-faced X499 boards. Contrary to Ryzen 2 chips, which launched alongside X470 motherboards, AMD’s likely 12nm Threadripper chips seemingly will not warrant a new chipset, instead utilising the same X399 platform as its predecessor. If previous Intel roadmaps have been anything to go on, these may be subject to change at a later date. 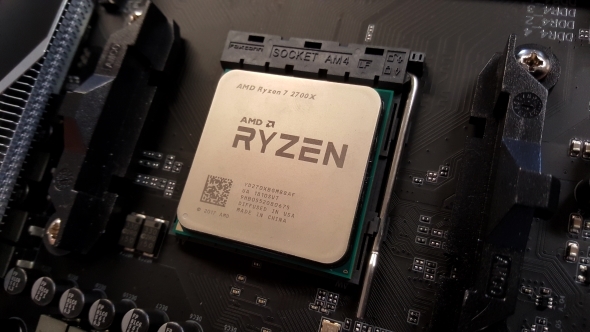 These slides also add more fuel to the potential of a Ryzen 7 2800X launching alongside the top enthusiast chipset in June, as AMD would have likely been well-aware of Intel’s new offensive launching later in the year.